On September 28 and October 1, For the third year in a row, Odessa hosted numerous talented and well-known writers, poets and litterateurs who had traveled to Ukraine from all around the world. 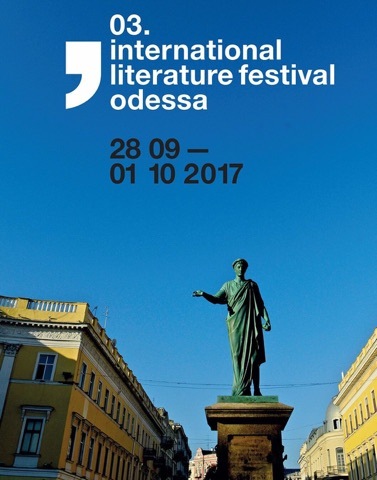 The third International Literature Festival – Odessa was much more extensive and featured more writers than the previous two iterations of the festival. The Festival is an outgrowth of the very successful Berlin Literature Festival, which has existed for almost two decades. In 2017, Odessa welcomed more than 50 participants in the festival, giving Odessans the opportunity to sample developments in contemporary German, Austrian, Greek and Ukrainian literature. 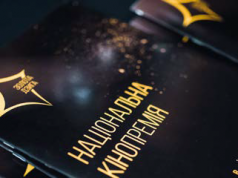 Expectations for the festival ran quite high reports The Odessa Review’s Masha Sotskaya. As is generally well know, the fabled cosmopolitanism of Odessa has from the moment since the city was first founded, catapulted the city to world renown for her contribution to world literature. This most charming and adventurous of cities has proffered the world great writers such as locals Ilf and Petrov, Valentin Katayev, Isaak Babel while also inspiring generations of talented visitors such as Maxim Gorky, Alexander Kuprin and, of course, Alexander Pushkin. To this day, writers and journalists from all over the world flock to the city to wander the streets to write lyrical lover letters to their own nostalgia about the city they first encountered in their beloved books, pieces with names such as “Odessa City of Writerly Love” So, perhaps, it is not so surprising that this festival was meant to be held here. The times may change, but Odessa keeps inspiring people with ideas, characters and literary situations. This year, the Literature Festival once again invited several dozen established writers and poets to attend, thus reaffirming the legendary literary history of the city. Being an outgrowth of the Berlin festival, German writers (Sonja Beeck and Michael Kruger) are amply represented. The line up also included Simon Van Der Geest and Sjoerd Kuyper from the Netherlands, Christos Ikonomou and Haris Vlavianos representing Greece and Shibli Adania representing Palestine. Attending readings in the Golden Hall of The Odessa Literature Museum, the main setting of the festival, I ruminated on how wonderful and inspiring it was to listen to literary men and women discuss the process of making their work, while having an opportunity to hold their books in my own hands. Peter Stephen Jungk and Peter Weber were my own favorites, but memorable performances and readings were also delivered by Alida Bremer, Jan Koneffke, Peter Schneider and Rafael Cardoso. For myself personally, the highlight of the festival was a surprise opportunity to meet and spend time with the president of international PEN-club and a great writer, Jennifer Clement. This was no chance encounter. 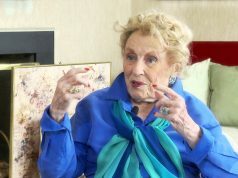 Finding out that she needed a translator, The Odessa Review’s Editor, Vladislav Davidzon, asked me to spend time with Clement, and to practice my skills as an interpreter while she gave some television interviews. The result was a delightful instance of “combining business with pleasure” as the Russian saying. Before she had arrived in Odessa for the literary festival, Clement had hosted the 83rd PEN International Congress in Lviv, where discussions had revolved around a few core problems: truth and fake news, the interaction of history and memory, the rights of women, equality, cyberwar, fake news and danger against the freedom of freedom. The Lviv PEN congress was a historic one, and included an important change to the PEN charter, and Clement was completing her Ukraine visit by speaking in Odessa. In all honesty, if before meeting Clement, I had been asked to describe the president of PEN, I would likely have conjured up the image of a statuesque and regal woman with piercing (and perhaps slightly cold) eyes. And, indeed, my platonic vision would have turned out to resemble reality I learned when I picked up Clement in the hotel lobby of the Londonskaya hotel – where the playwright Anton Chekhov used to stay on his visits to the city more than a century ago. Clement, who is known as the author of the cult classic “Widow Basquiat” – which centers on the stormy relationship that the artist had with a girlfriend who many saw as his common law wife – was a beautiful woman: tall, blond, prominent looking and with a dignified bearing. However, I was instantly disarmed by her warmth, openness, friendliness and interest in chatting with me. She wanted to talk about Odessa, as her family roots connected her to the city. She had an unfalsifiable desire to see and understand the authentic heart and soul of the city. So I did my best to tell her about Odessa’s extraordinary inhabitants. We spoke about the characters who live in the city and go about their business, all the while creating her irreplaceable atmosphere. 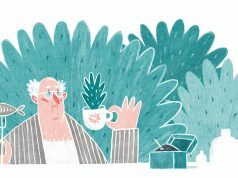 Characters such as the elderly beach enthusiasts that stay out in the sun from the very dawn until the setting of the sun. We also spoke about the Starakonka Flea Market, the Opera house, the Sea Port and Odessa dachas. My favorite part of spending time with Clement was seeing that she was genuinely impressed and surprised by the local tradition of people placing beds in the gardens behind their dachas. Not everyone get an opportunity to see their native city through the foreign perspective of an outsider. I relished talking about my hometown and hearing how it, somehow surprisingly, still makes foreigners fall in love with its architecture, picturesque views and eccentric inhabitants. The interaction really led me to the realization that this really was the main reason that Odessa does need a large-scale event such as the Literature Festival. I should admit the fact that I had never been fully dedicated to this festival during the first two years of its existence. Before arriving at the Literary Museum, in my head I naively thought that the Golden Hall, would always be filled up with people who would be passionately interested in literature and art. Instead, I was disappointed to find that even if those Odessans who actually love literature, also seemed to really hate getting up early in the morning in order to actually attend the events. As a result, in the early hours one might see only a few people quietly sitting and merely listening, without any noticeable enthusiasm. This made me feel both sad and guilty. I am still not entirely sure why. Maybe it was because I felt bad for the writers who were slated to perform before noon, and who actually deserved much bigger audiences. Every participant of the festival was unique and mesmerizing in his or her own way, even if not every one of them will be remembered next year or perhaps, even next month. Looking on the bright side however, having small audiences gives us the chance to talk to well known writer personally. One merely has to wait until the reading is over and to just walk over and begin to participate in a discussion. From my personal experience, the majority would gladly start up a conversation and one would not even notice any desire in their eyes for a speedy conclusion of the dialogue. It turns out that not only do writers want to be read, but most of them want to be spoken with as well. Writers turn out to be private people who want public adulation for their words. What really made all the readings/ author meetings “work” thought were the concerted efforts of the moderators and speakers at the events. It seemed that they were well prepared and genuinely motivated to not only to speak in a concerted way to the authors but also to build a connection between the participants and listeners. Which is not to say that the discussions and Question + Answer periods were invariably vigorous and dynamic: sometimes people were very expressive. Other times they sat through the panel and did what they needed to do without any particular enthusiasm. However, listening one could always feel the flow of thoughts and none of the speakers were truly boring. This Festival and similar projects are crucial for the development of a literate public and for increased interest in Odessa from the outside world. Yet, the uncomfortable truth is that the festival did not receive nearly the number of visitors that it actually deserved. Sadly, this most literary of cities has seen much of the educated middle class emigrated over the years, and the number of potential literary readers has greatly declined. We can only hope that this magical and important event for the promulgation of world literature in Odessa will continue to grow in the years to come. 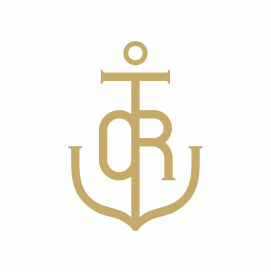 There is a great hope in me, that The International Literature Festival – Odessa will grow in the right direction, and will help revitalize the great source of literature, and help to make Odessa once again a bustling and productive regional capital within the republic of letters! Masha Sotskaya is an Assistant Editor at The Odessa Review.